​Richard Carroll is a director, writer and producer based in Sydney. Richard directed an acclaimed production of CALAMITY JANE at Hayes Theatre Co, starring Virginia Gay, which toured to five cities in 2018 including sold-out mainstage seasons at Melbourne Arts Centre and Belvoir. CALAMITY JANE had a sold-out return season to Melbourne Arts Centre later that year followed by a commercial season at Melbourne’s Comedy Theatre in 2019. Richard won a Sydney Theatre Award for Best Production of an Independent Musical and was nominated for Best Director of a Musical for CALAMITY JANE. His production of SIDE SHOW was nominated for multiple awards, including three Sydney Theatre Awards. Richard is co-creator and director of THE SHOW GOES ON starring Bernadette Robinson which had its premiere at Sydney Opera House and toured to Melbourne Arts Centre. In 2018, Richard directed GYPSY at Hayes Theatre Co, the Australian tour of CALAMITY JANE; THE SHOW GOES ON tour to Melbourne Arts Centre; A NIGHT AT THE SPEAKEASY with Sydney Symphony Orchestra; and co-directed AN ACT OF GOD for Darlinghurst Theatre Company starring Mitchell Butel. In 2019, Richard directs SPAMALOT at Hayes Theatre Co the musical ONCE at Darlinghurst Theatre Co.
Richard’s cabaret work includes: EVERYBODY LOVES LUCY (co-writer); DAHLESQUE (co-writer); ¡HISPANIC ATTACK! (writer/director, national tour); DON’T BOTHER TO KNOCK (co-writer/director, Hayes/Adelaide Cabaret Festival); JULIE MADLY DEEPLY (co-creator; Australian, Canadian, UK national tours and West End season); and opening night variety gala concerts (director/writer) for Adelaide Cabaret Festival and The Art House. 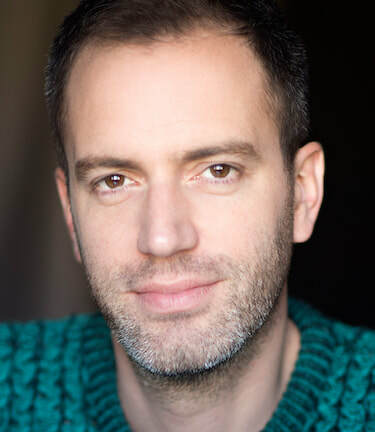 Richard’s producing work includes: DARLINGHURST NIGHTS and HIGH SOCIETY (Hayes Theatre Co); SIDE SHOW and CALAMITY JANE (One-Eyed Man Productions); MIRACLE CITY and SWEET CHARITY (Luckiest Productions). Richard co-wrote and was associate producer of the documentary DAVID CAMPBELL ON BROADWAY.